I have always wanted to do a collaboration with someone through the mail, and because Jenny and I have an understanding of each others work that I have never felt from anyone else it just had to be with her. We also are sadly about 100 miles apart. 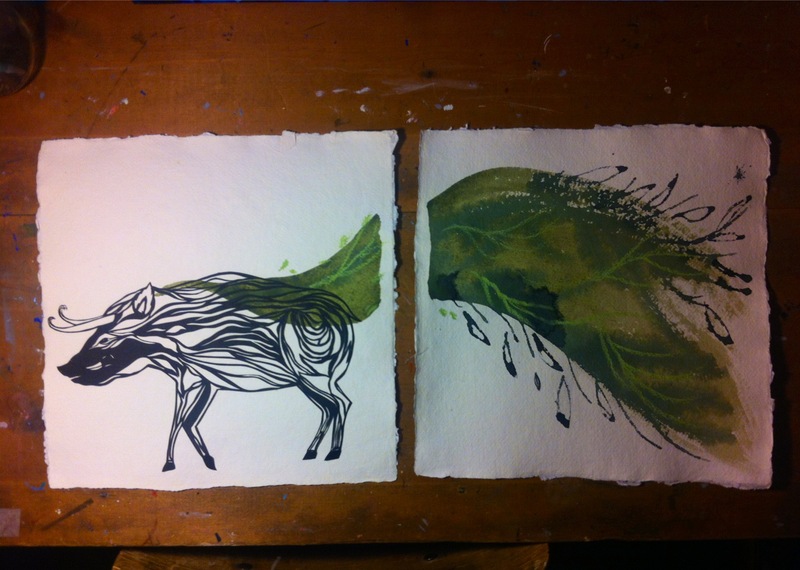 I created the boar and handed it off to Jenny who turned it into a beautiful dyed diptych. It is currently unfinished, I still will add more cut paper, but now it is Jenny's turn to start with a new project.